After playing the titular role in one of 2018's biggest hits, the period drama - Padmaavat, it is now confirmed that Deepika Padukone will now collaborate with film maker Meghna Gulzar. This would be for a film based on acid attack survivor Laxmi Agarwal. This film, which is yet untitled, will not just have Padukone acting in it, but she will also be producing the film. The actress decided to make this her debut production venture, since she felt very strongly about the film. Padukone shares, "When I heard the story, I was deeply moved. It is a story not just of gross violence, but of strength, courage, hope and victory.It has had such a massive impact on me, that I personally and creatively needed to go beyond and hence, the decision to turn producer too." Speaking about the subject of the film, Meghna Gulzar said, "In spite of regulation on the sale of acid and changes in legislation regarding acid attacks, both of which are consequences of the acid attack case of Laxmi and her PIL - the ground reality is still very grim. Acid violence is a very prevalent danger even today. Medical treatment, compensation, rehabilitation and inclusion of Acid attack survivors are still very real challenges." Further she stated that by using Laxmi’s story as a lens, the team is attempting to explore these aspects and consequences of Acid violence in our society. "This is what makes this story relevant and one that must be told. Because if anything, awareness is the first step towards change," she quipped. Touting Deepika as the best choice for the role, Meghna says, "It is both an emotionally and physically challenging role to play. I was instinctively convinced that Deepika can do justice to the character and the story. Also, her physicality matched what I had imagined for the character of Laxmi. I am grateful and feel extremely encouraged that Deepika was so spontaneous in her decision to do this film. Also, when you take a face as beautiful as hers, and portray it as an Acid survivor, the magnitude of the violence and damage is that much more resounding." 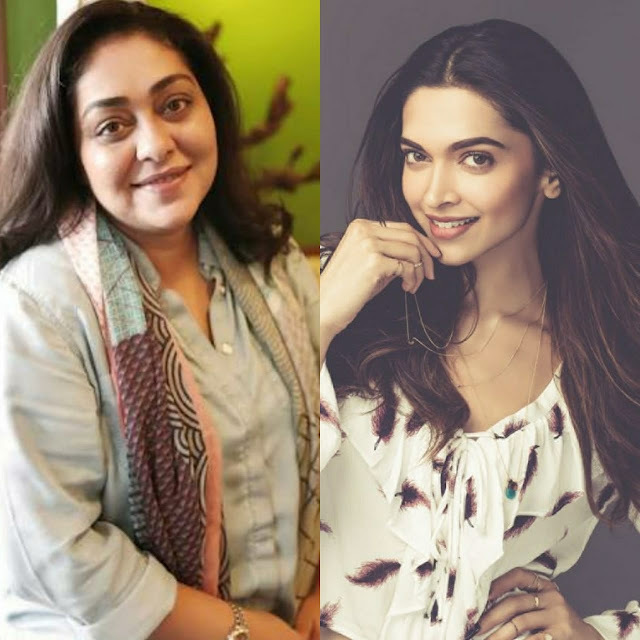 Looking forward to the journey with Meghna, Padukone says, "I have been greatly impacted by Meghna's work and beyond thrilled to be collaborating with her.We now look forward to commencing our journey on this film." Laxmi, who comes from a humble, unprivileged background, was 15 when the attack occurred, which was at a New Delhi bus stop in 2005. Her assailant was a man twice her age, known to her family and an unlikely suitor whose advances Laxmi had clearly declined. Through Laxmi’s story, the film makes an attempt to understand the on-ground consequences of surviving an acid attack in India, the medico-legal-social state of affairs that transpire after the acid has been hurled and the face is irreparably burnt. While the film showcases her journey in the time after her attack spanning 10 years, a significant part of the story is the game-changing PIL in the Supreme Court which inspired the amendment on acid laws in 2013. With various narratives intertwined, the film promises to be a gritty investigative piece, interspersed with a compelling courtroom drama. If the story is to be summed up in one line, then it is a story of the real triumph of human spirit. Are you looking forward to Deepika Padukone's next with Meghna Gulzar?